Is security fundamental to your workplace, organisation and personnel? Do you use electronic access control? Would you want to prevent unauthorised people walking in at any time without your knowledge? Most large companies utilise electronic access and identity security and their staff move around within their facilities using electronic key cards or ID passes. This technology has long replaced physical keys in most instances because it is an effective, fully monitored and provides a recorded access system. However as this system is founded on a wireless exchange between the Access/ID card and the 'reader', it leaves a very significant loophole or weakness in your security efforts! 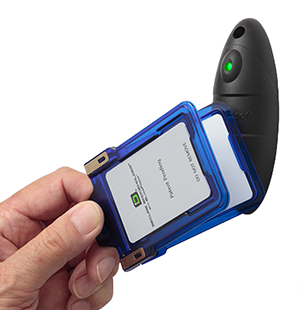 The access card carries a Radio Frequency Identification chip (known as RFID). This responds automatically to a signal sent out by the door reader once within range. The chip then gives out the encrypted access code, the door reader recognises the code and unlocks. Simple and effective. The Access/ID card carried by staff, visitors or contractors will give up its code to ANY reader operating on that radio frequency! 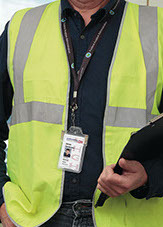 That means that while your buildings electronic 'keys' are being carried, often visibly, by the holder, a third party with an easily concealed scanner could walk through a crowd, ride on public transport, a lift or escalator, or other crowded area and scan targeted RFID enabled Access cards and then write that scan to a blank card. All without the data owner/card holder ever knowing it happened! The third party then has an exact clone of your key with the same level of access that your employee has! The scanner doesn't care if the codes are encrypted - all it sees is a string of data which it copies exactly. Your security system will ONLY record that youremployee is 'in the building', even though they may be in a different country. We call this unlawful scanning 'electronic pickpocketing'. We have a simple and cost effective solution to this problem . . .